61% of European employers say they cannot find young talent with the right skills. 7.5 million young people in Europa are out of job, education or training, creating an economic loss of 150 billion Euro. The goal of eYe is to provide employers access to young talent with the right soft skills quickly and cost effectively and increase the employability of young people. Since the launch event in November 2014, we have focused our attention on Portugal. Here we have kicked-off the first eYe-pilot in summer 2015. Our first cohort of young unemployed people got the chance to join our program that includes a unique combination of physical and virtual workshops, peer-to-peer coaching, english language sessions, communication and self-awareness training. The eYe-project prepares participants for the job requirements. At the same time we enable employers to increase their productivity as they gain access to the pool of eYe-graduates. The pilot was launched at the YMCA in Setubal (Portugal), which has become another CircularSociety Center. Our growing impact community in Portugal includes organizations like the World YMCA, Education First (EF), ZURICH Financial, Talentory, AIESEC, ATEC, Polytechnic Institute Setubal, Kelly Services, NOVA, CCISP, Science4You, the Swiss-Portuguese Chamber of Commerce and others. 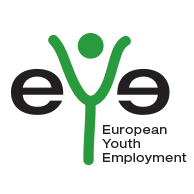 eYe has had a successful launch in Portugal – all previously unemployed young people have found a job since the graduating from the program! A big thank you to all who have and still are supporting the eYe program.